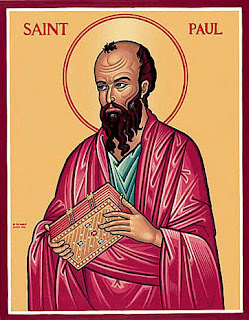 Mass proved most interesting today, the second reading was Paul's hymn to love, as the highest virtue. Frankly, I believe it to be one of the most beautiful and devastating passages in the New Testament. I have read this hymn from his First Letter to the Corinthians before. It is popular at weddings for some reason. It aptly capitalizes St. Paul's theological thoughts. It certainly made me pause and think about the fundamentals of life. Love he argues is not just an emotion, it is the virtue that builds communities and society. That love should be at the center of all of our actions, not self interest. We must genuinely love god and one another. What ever your religious beliefs, I think this is a great meditation worthy of reflection.